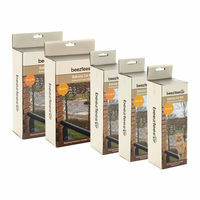 Browse our extensive range of premium cat flaps online! Why order a cat flap? Some cats are real house tigers and like to stay inside. However, most cats love to explore the outside world. Besides enjoying discovering their surroundings, it also contributes to physical and mental health. Outside your cat has contact with other cats, which stimulates his social development. In addition, your furry friend has plenty of room to play and run freely. To avoid having to continuously open and close the door for your cat when he wants to go outside or inside, it is a great idea to install a cat flap. But which cat flap are you going to choose? There are many types of cat flaps for your cat. It is important to find a cat flap that suits you and your cat. Below you can see which cat flaps are available for you to use. Make sure the cat flap is big enough for your cat! 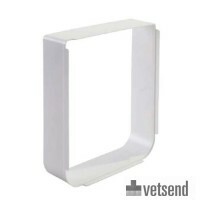 Vetsend offers a wide range of cat flaps from the brands such as SureFlap and PetSafe. Who is not familiar with the classic cat flap? This cat door allows your cat to walk freely outside and inside. Do you want to keep your cat inside for a while? Then you simply close the cat flap. There are variants with 2-position or 4-position locks among the classic cat flaps. 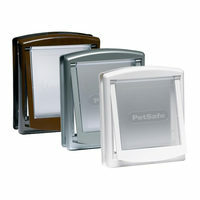 The 2-position locking system allows you to choose between open or closed. The 4-position locking system allows you to choose the cat flap to go inwards, outwards, outwards and inwards or fully closed. This way you can decide when your cat can use the pet door. Does the neighbour's cat enter through your cat flap? 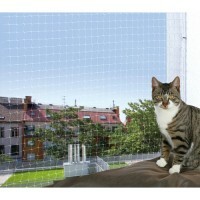 There are different types of innovative cat flaps that keep unwanted visitors out. 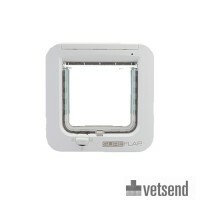 For example, SureFlap Microchip Pet Flap communicates with your micro chipped cat. If your cat is not micro-chipped, you can attach an RFID tag to its collar. You connect your cat's chip or tag to the sensor system, so it will always be recognised by the sensor. 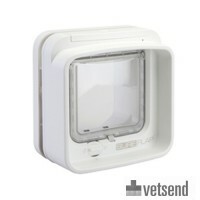 When this cat flap recognises your furry friend, the magnetic closure of the flap is unlocked and your cat can go inside. 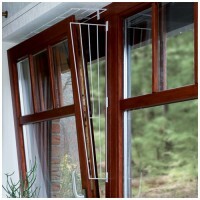 The magnetic and infrared cat flaps work in the same way and prevent unwanted animals from entering your house. 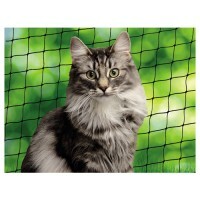 With these cat flaps you receive a magnetic tag or infrared key, which are easy to attach to your cat's collar. Is your cat using a cat flap for the first time? Then it will take some getting used to in the beginning. Some cats will know how to use the cat flap in no time, others will be a little more susceptible. It is then convenient to open and close the cat door regularly manually. 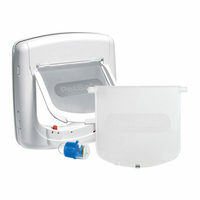 It can also help to leave the cat flap open for a while, until your cat feels comfortable going outside. As soon as your cat has entered the cat flap for the first time, the next time it will only get easier!